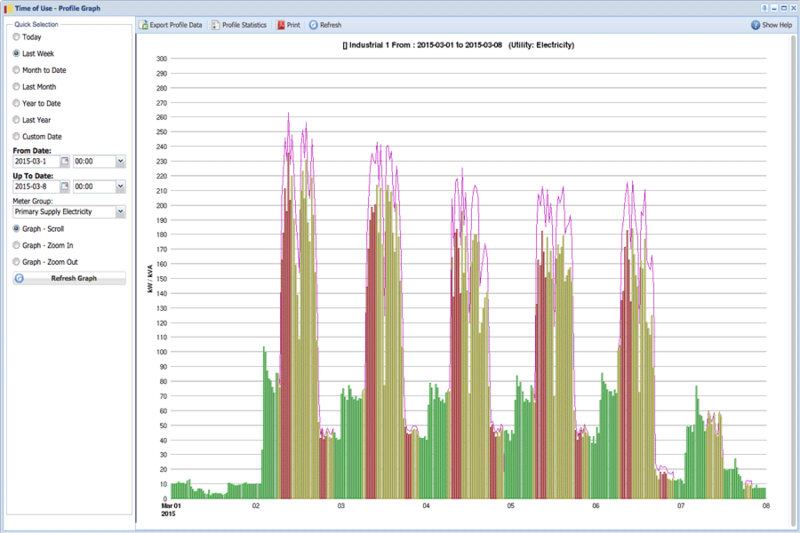 Interval data (also referred to as “load profile data”) is a fine-grained record of energy or water consumption, with readings made at regular intervals throughout the day, every day. 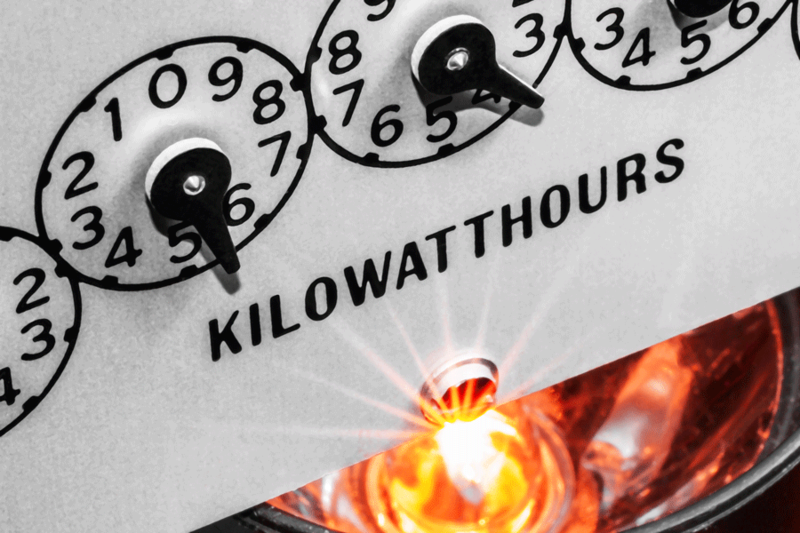 This data contains a lot of information about a site's energy or water usage, but the sheer volume of data stored over time makes it difficult to manage and interpret. 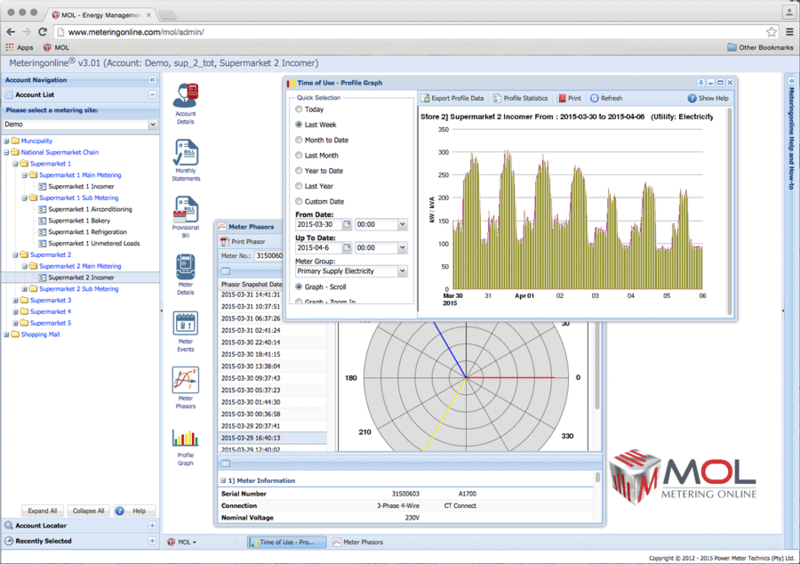 MOL makes it easy to turn this raw interval data into useful charts and reports that enables even non-technical users to visualise and understand consumption and the related related financial implications. Assessing the potential for new equipment such as more efficient lighting, variable speed air conditioning systems and alternative energy sources. 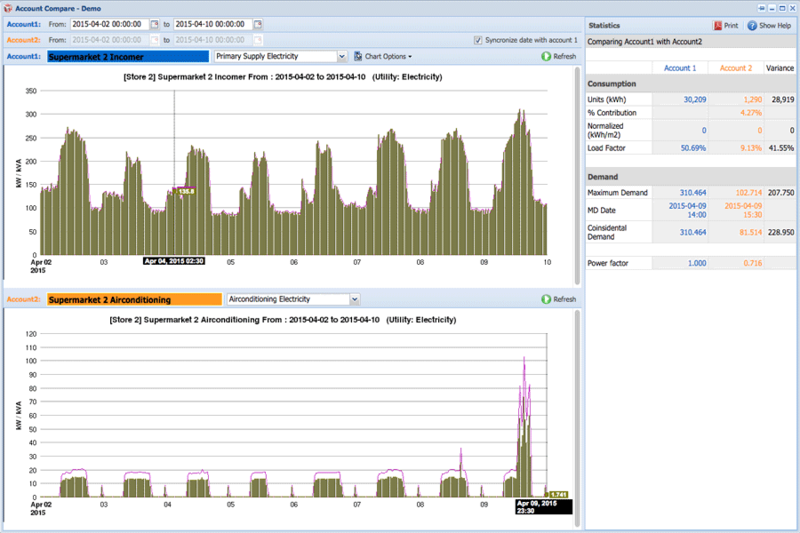 A detailed picture of a site’s energy or water demand makes the equipment-specification process much more accurate. Providing charts and personalised statistics to highlight a client’s current levels of energy or water consumption and the opportunities to save. The high resolution of interval data enables you to do much more than you can do with weekly or monthly meter readings. 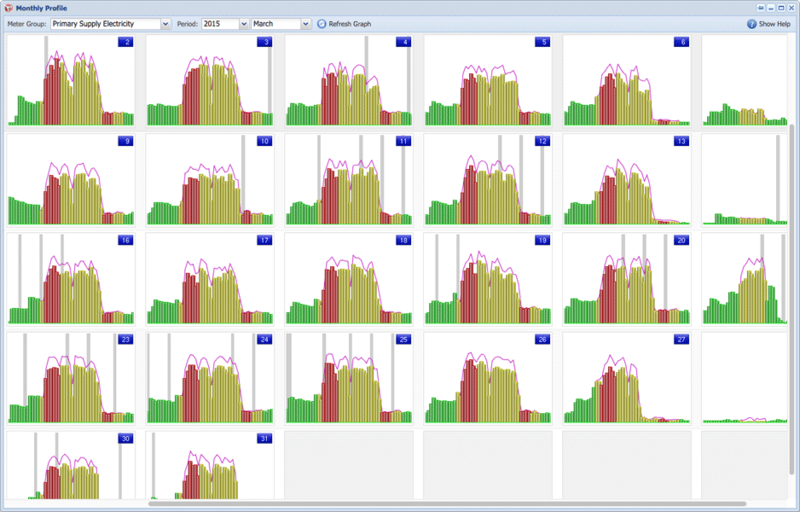 Load Profile graphs provide an interactive graphical representation of interval data. 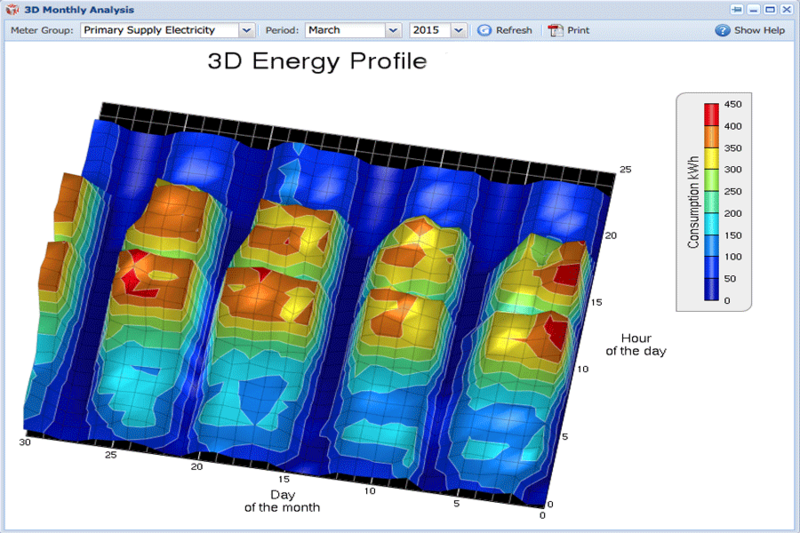 3D Profile graphical representations of interval data. 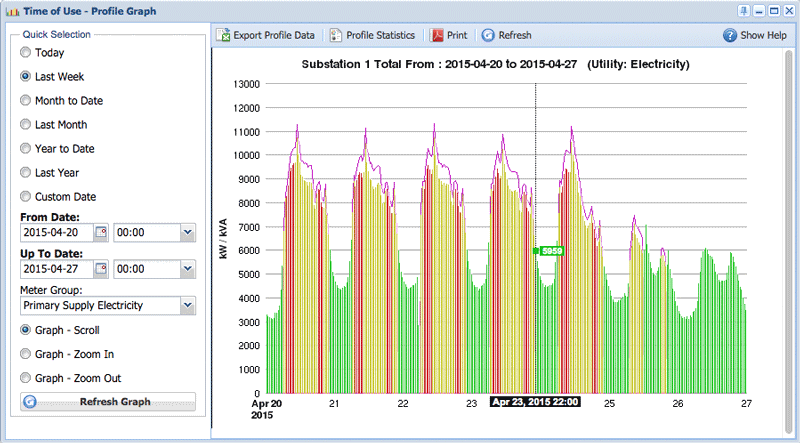 The Monthly Profile utility shows a composite load profile graph that shows an overview of consumption for an entire month. The Profile Comparison tool allows direct comparison of interval data for two accounts. 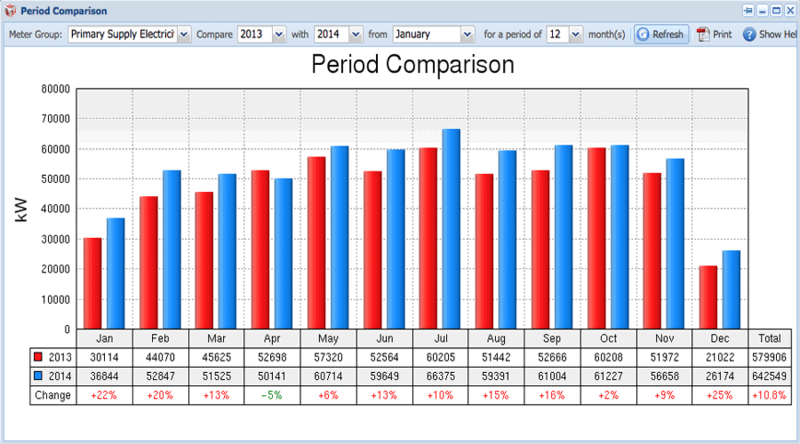 The Period Comparison utility shows the month-on-month comparative consumption for an account in both graphical and tabular form.